A slow burning deep south drama, Hud is an intense four-person character study featuring superb performances and complex human dynamics. 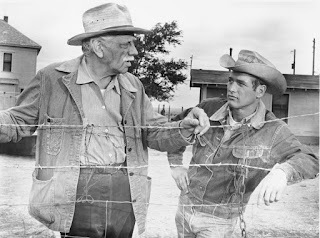 In rural Texas, the aging Homer Bannon (Melvyn Douglas) runs the family cattle ranch. Homer's herd appears to be afflicted with a potentially serious ailment, and government types move in to investigate whether foot and mouth disease has infected the ranch. Homer is a principled man, growing increasingly horrified at the behaviour of his son Hud (Paul Newman), a hard drinking selfish womanizer openly seducing the married ladies of the nearby town and showing no real respect or regard for concepts of hard work and responsibility. Hud: Well, I've always thought the law was meant to be interpreted in a lenient manner. Sometimes I lean one way and sometimes I lean the other. Lonnie Bannon (Brandon deWilde) is Homer's grandson and Hud's nephew, a young man at the crossroads, beginning to idolize his Uncle but also respecting Homer's ethos. Lonnie's father Norman died under mysterious circumstances, with Homer attaching at least some blame on Hud. Alma (Patricia Neal) is Homer's housekeeper, a world weary divorced woman with a smouldering sexuality and not shy about flirting with both Hud and Lonnie. The possibility of Homer's entire herd of cattle being wiped out adds to the tension between Homer and Hud, and the turmoil will sweep up both Lonnie and Alma. Homer, to Lonnie: Little by little the look of the country changes because of the men we admire. You're just going to have to make up your own mind one day about what's right and wrong. Directed by Martin Ritt and gorgeously filmed in black and white by James Wong Howe, Hud contrasts wide open Texas skies with intricately linked emotions. A slice of life drama focusing on a fractured family at a generational cross roads, the film is pregnant with possibilities, situational tension and flawed characters. The story goes looking for the limit of often unspoken hostility that one family can withstand, and never relents in ratcheting up the weight of expectations pulling in different direction. Hud: Happens to everybody. Horses, dogs, men. Nobody gets out of life alive. The themes include Lonnie's coming of age in the shadow of the mystery of his father's death; the business of running a stricken ranch in a Texas where oil is pushing out cattle as the preferred money-making commodity; and layers of unresolved hostility between a father adhering to old fashioned principles and a son much more interested in self gratification and little else. And a sexual undercurrent keeps the tension high as Lonnie transitions from boy to man, Hud flaunts his animal magnetism all over town and Alma wonders who may be available to fill her needs. The film wastes no time drawing in the four characters, and Ritt expertly arranges his principles in a self-dependent puzzle, where Homer needs Hud's help on the ranch, Lonnie needs to decide whether or not Hud is a good role model, Hud needs to plan out his future as the sun sets on Homer's reign, and Alma needs to juggle the needs of three powerful men to maintain her economic well being. Ritt maintains control of the pacing and dramatics, never veering into excess and ensuring that the ties that bind get better defined even as they are exposed to higher stresses. Hud: The only question I ever ask any woman is "What time is your husband coming home?" The four performances are nothing less than perfect. 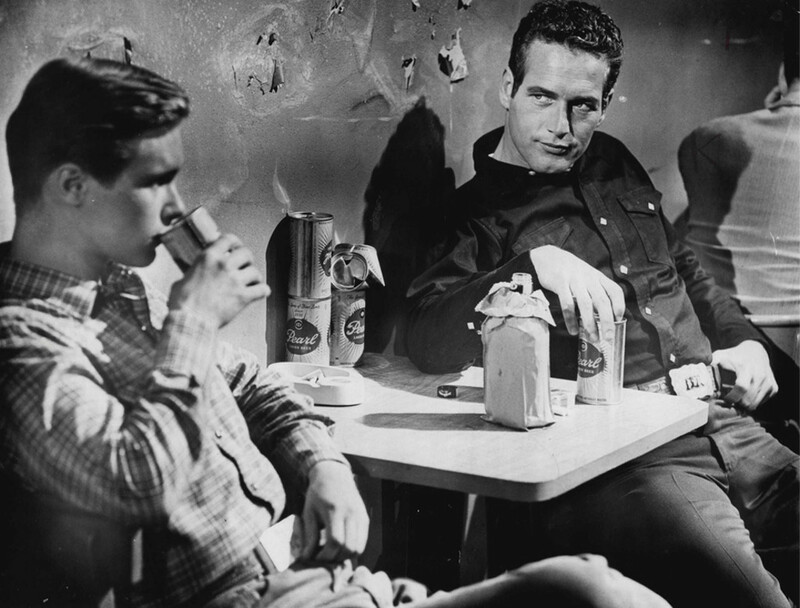 Paul Newman has rarely been better, finding in Hud the ideal role for his most typical persona of the supremely selfish but also sexually irresistible man. In support Patricia Neal won the Best Actress Academy Award for the relatively small but pivotal role of Alma, uncovering lust and self preservation hiding just beneath the tousled housekeeper exterior. Melvyn Douglas and Brandon DeWilde bookend Hud with the previous and future stock of Bannons. Douglas is uncompromising in exposing Homer's deeply principled stand on life while DeWilde allows Lonnie to effectively walk the fault line between grandfather and uncle. Homer: You don't care about people Hud. You don't give a damn about 'em. Oh, you got all that charm goin' for ya. And it makes the youngsters want to be like ya. That's the shame of it because you don't value anything. You don't respect nothing. You keep no check on your appetites at all. You live just for yourself. And that makes you not fit to live with. Uncompromising and always finding the more challenging road, Hud is an elegant showpiece for intriguing, true-to-life characters.